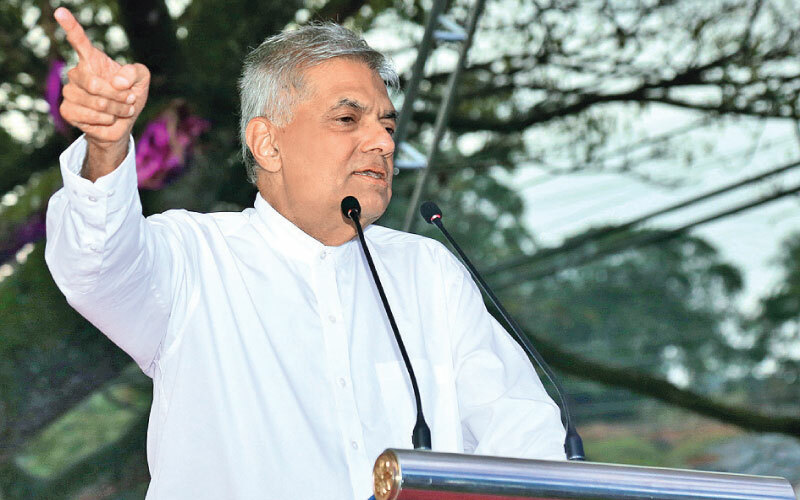 The construction of the Bingiriya Export Processing Zone (EPZ) would commence on March 4, Prime Minister Ranil Wickremesinghe said in Kurunegala on Friday. The Premier said that it would be the largest Export Processing Zone in Sri Lanka, spanning over 600 acres of land and which would be much larger than the Katunayake and Biyagama Industrial Zones. The Bingiriya Industrial Zone would be developed in three phases. The first phase is to cost Rs.1.3 billion, while factories would be set up on 300 acres of land during the first phase. Wickremesinghe said that measures were also taken to develop the Kurunegala City, while the main emphasis would be in promoting tourism in the area. He said although cities such Dambulla, Kandy, Katunayake and Negombo has star class hotels, Kurunegala lacked such tourism facilities. He said that focus had been on establishing a four star and five star hotel in Kurunegala, to spur tourism and for the development of the city. He said by introducing a tourism economy in Kurunegala, the city could witness a massive development. The Premier said the country is hugely in debt and faced a severe crisis in 2013 and 2014, while no one thought that there could be a solution for it. He said since taking over the government in 2015, they have been taking measures to overcome the crisis and with much difficulty, began repaying the debts. The Premier said if they had defaulted in paying the debts, the country would have turned bankrupt. He said when such a crisis erupted in Greece, its government slashed public wages by 40%. However, the present government while paying off the debts, had taken measures to increase the salaries of the public, provide free drugs in hospitals and invest more in education.